Search for the Golden Moon Bear recounts Montgomery's quest--fraught with danger and mayhem--to reconstruct an evolutionary record and piece together a living portrait of her littleknown subject. This beautiful animal is not just a scientific eureka It is also a powerful symbol of conservation. 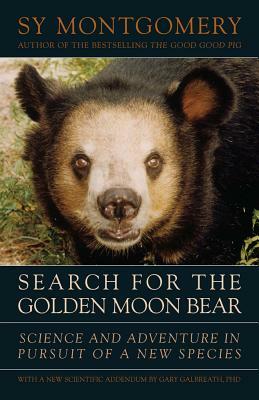 Search for the Golden Moon Bear is a field report from the frontiers of science and the ends of the earth, seamlessly weaving together folklore, natural history, and contemporary research into fantastic travelogue.